"The philosophic hand -- philosophy, analysis, logical, scientific, deduction, facts, research, truth, progress." The caption doesn't say this is the hand of a philosophic person but rather that it embodies philosophy, analysis, logic, scientism, deduction, facticity, research, truth, and progress. Therefore, the illustration is transformed into a talisman, akin to the Hand of Fatima. 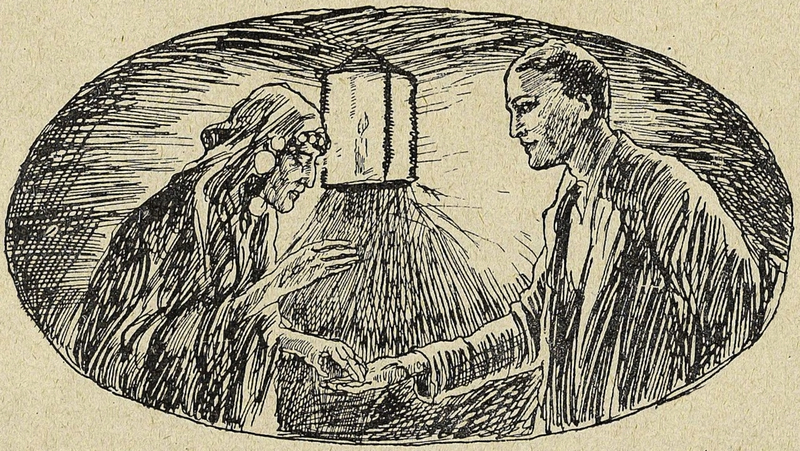 From New Discoveries in Palmistry by Joseph Bryant Hargett, 1901. 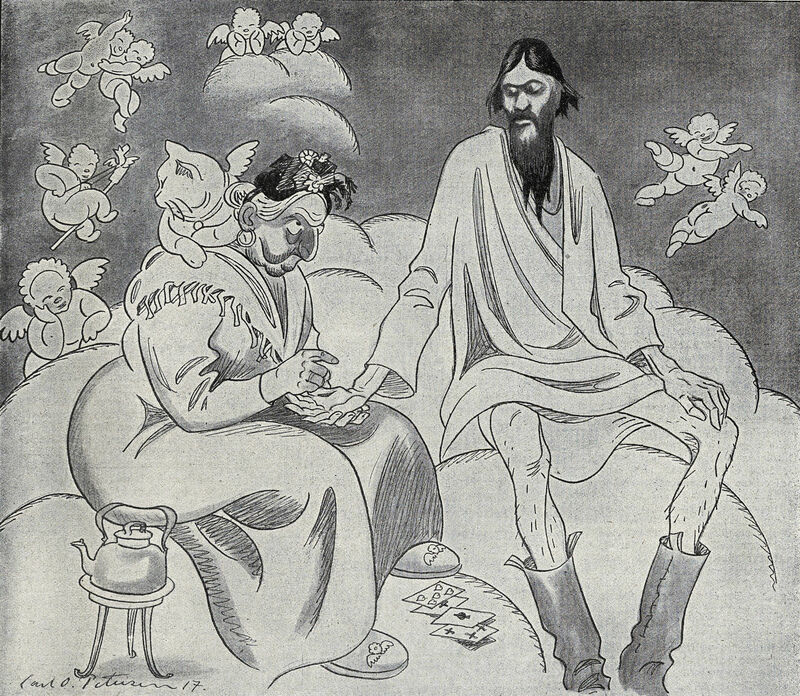 Today's Rasputin getting his palm read in heaven is from Lustige Blätter, 1917. "The sensuous eccenrtic hand." The caption doesn't say this is the hand of a sensuous eccentric person but rather that the hand itself embodies sensuous eccentricity. Therefore, the illustration is transformed into a talisman, akin to the Hand of Fatima. 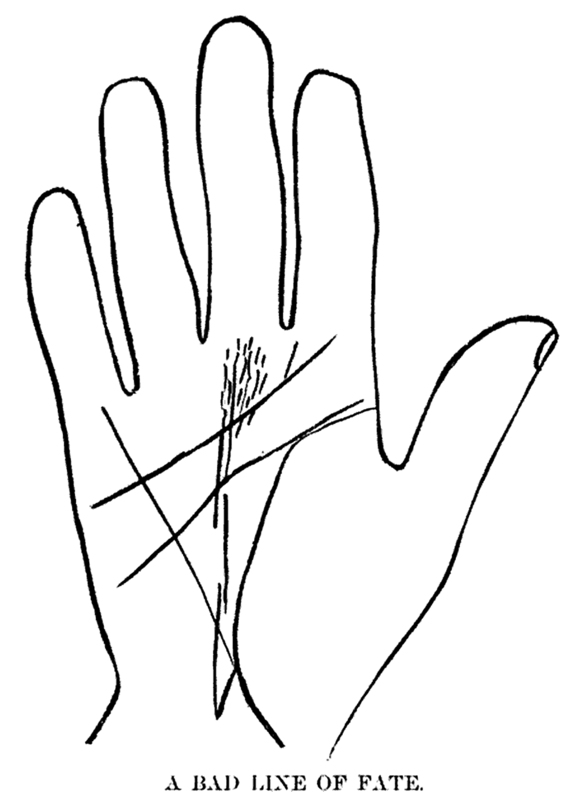 From New Discoveries in Palmistry by Joseph Bryant Hargett, 1901. "The eccentric, critical, changeful, intelligent hand." We like how the caption doesn't say this is the hand of a person who is eccentric, critical, changeful, and intelligent, but rather that the hand itself is all of those things. Therefore, the illustration is transformed into a talisman, akin to the Hand of Fatima. 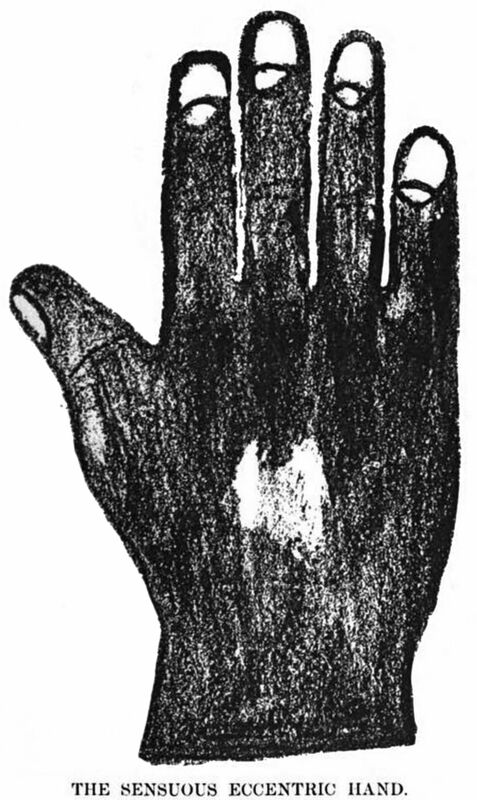 From New Discoveries in Palmistry by Joseph Bryant Hargett, 1901. 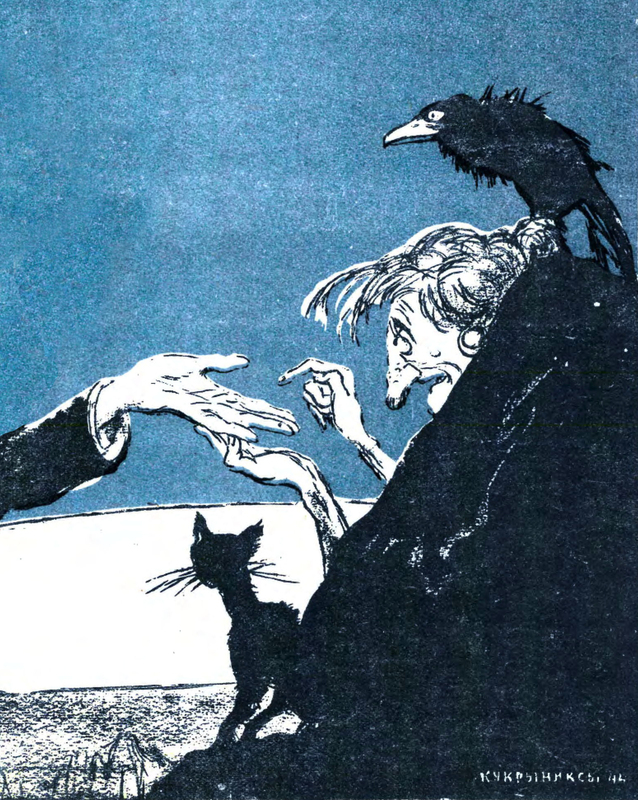 "The hand of mysticism, hysteria, hallucinations, and religious mania." The caption doesn't say this is the hand of a mystically-minded person who experiences hysteria, hallucinations, and religious mania. 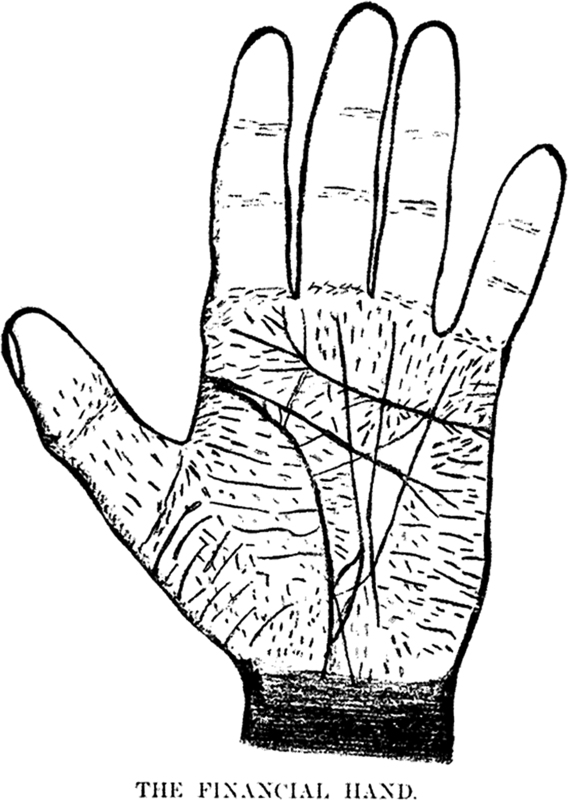 Rather, it suggests that the hand itself embodies mysticiam, hysteria, hallucinations, and religious mania. Therefore, the illustration is transformed into a talisman, akin to the Hand of Fatima. 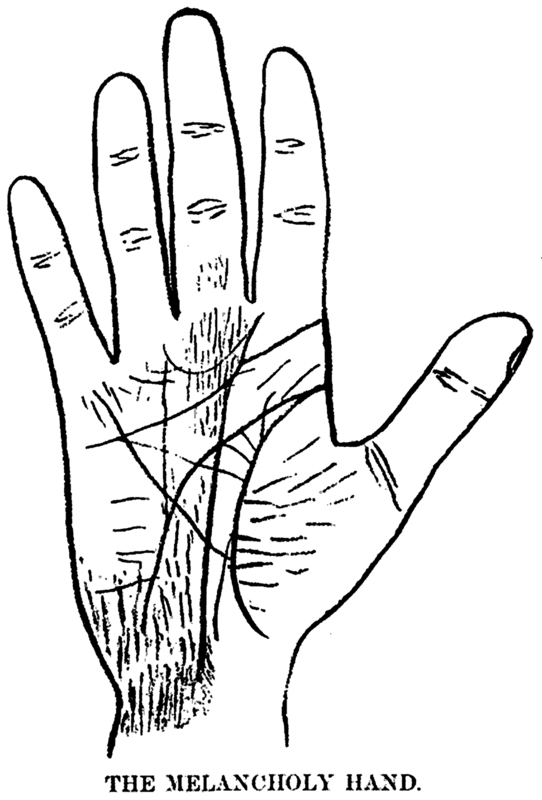 From New Discoveries in Palmistry by Joseph Bryant Hargett, 1901. 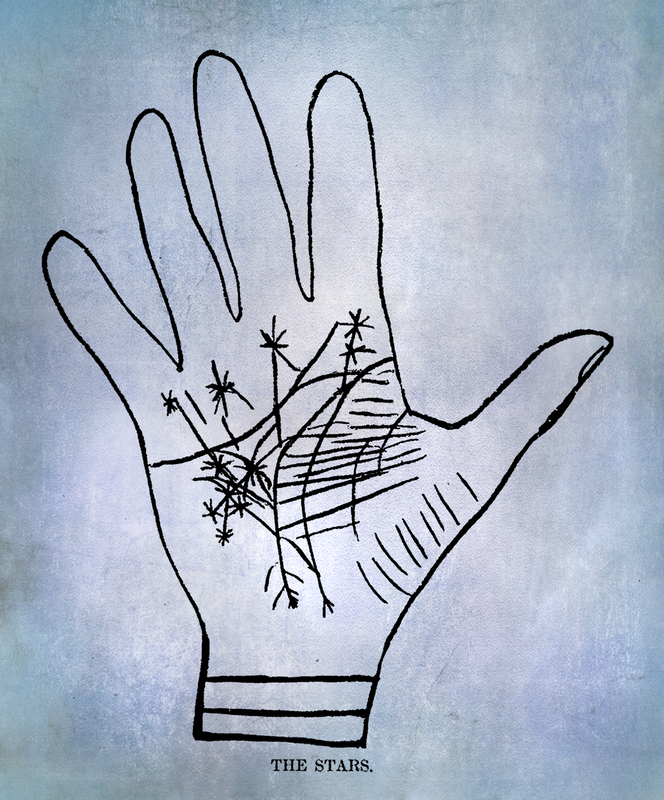 "The non-conformist scientific hand." 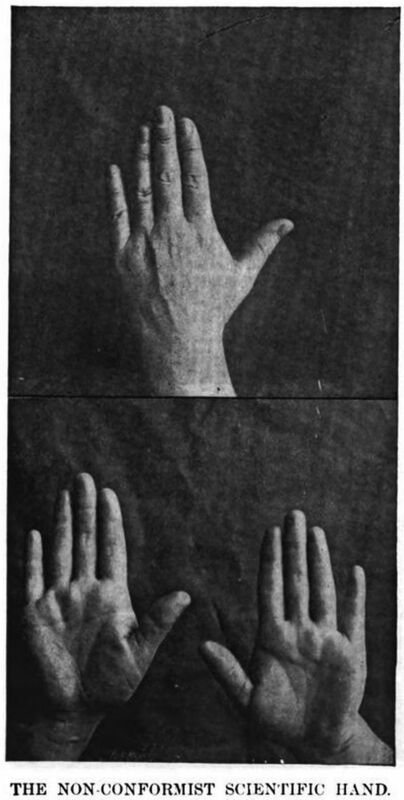 The caption doesn't identify this as the hand of a non-conforming, scientific person but rather suggests that the hand itself is a non-conforming scientist. 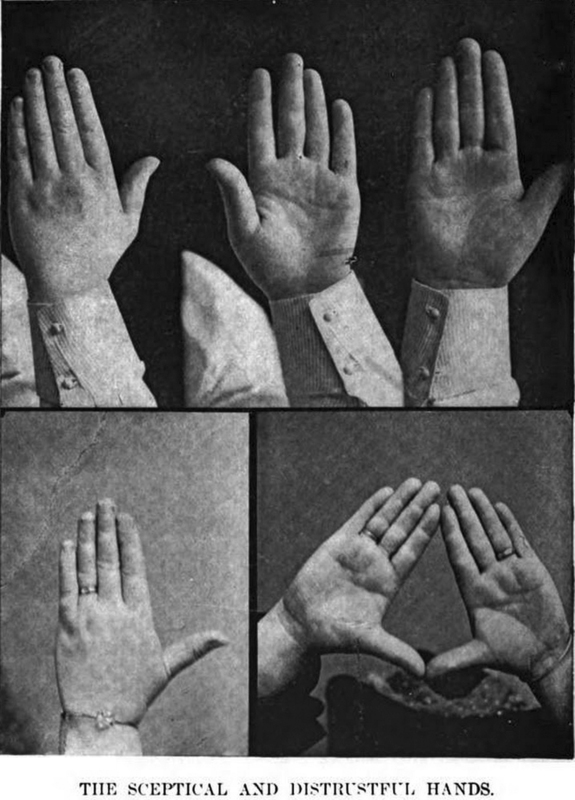 From New Discoveries in Palmistry by Joseph Bryant Hargett, 1901. 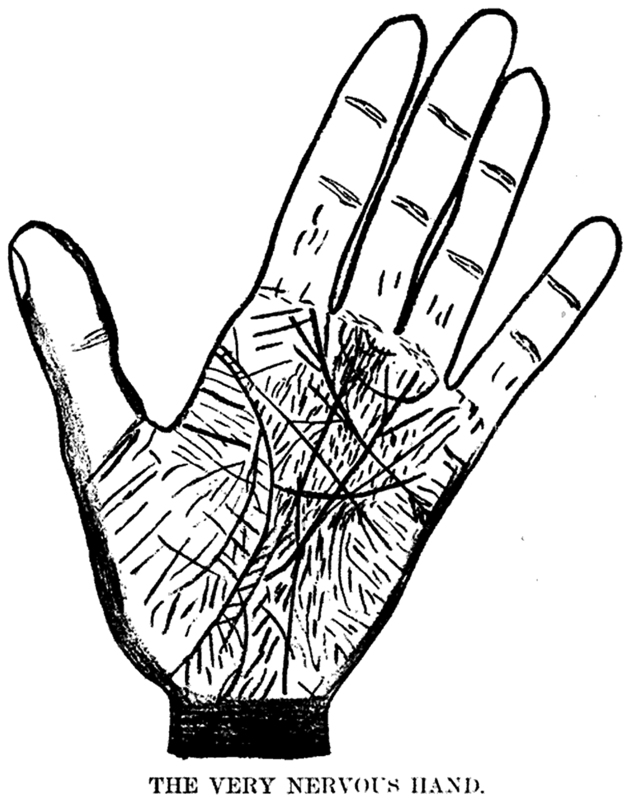 From A Guide to Palmistry by Eliza Easter Henderson, 1893. 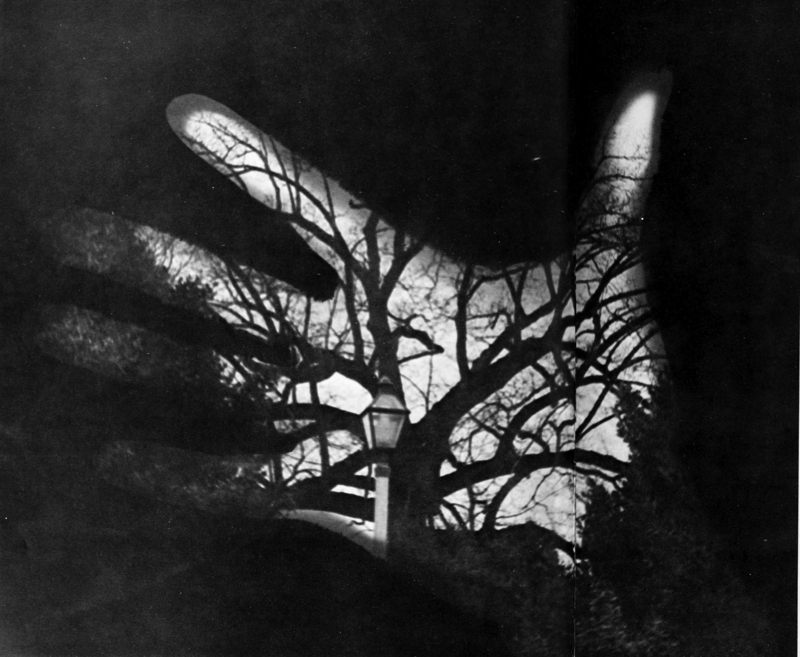 "The melancholy hand." 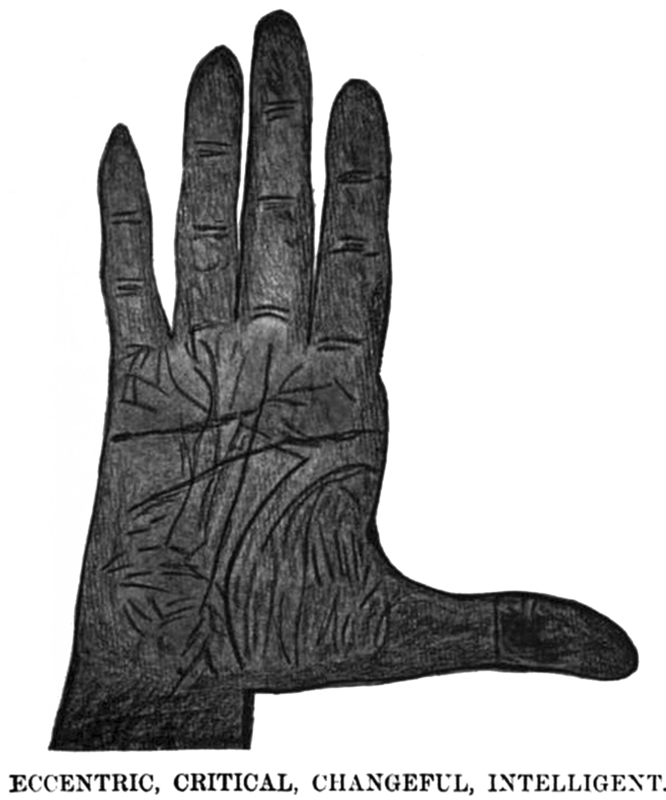 The caption does not say that this is the hand of a melancholic, but rather that the hand itself is melancholy or perhaps even the embodiment of melancholia. Therefore, the illustration is transformed into a talisman, akin to the Hand of Fatima. 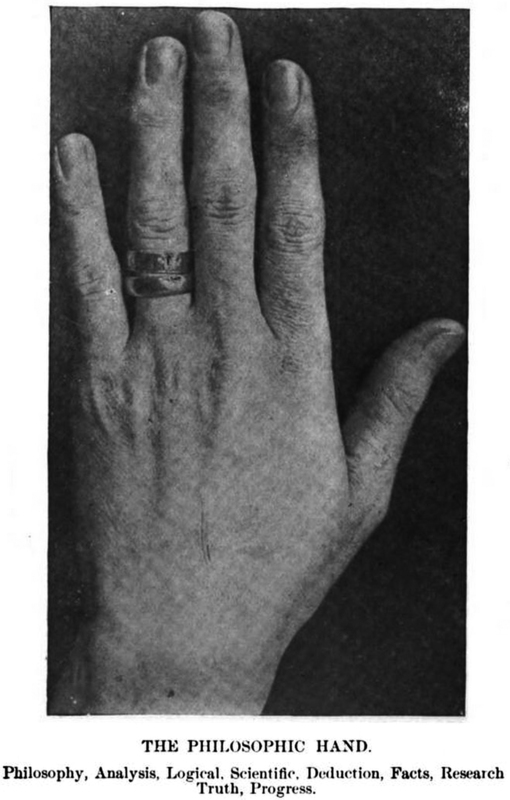 From New Discoveries in Palmistry by Joseph Bryant Hargett, 1901. 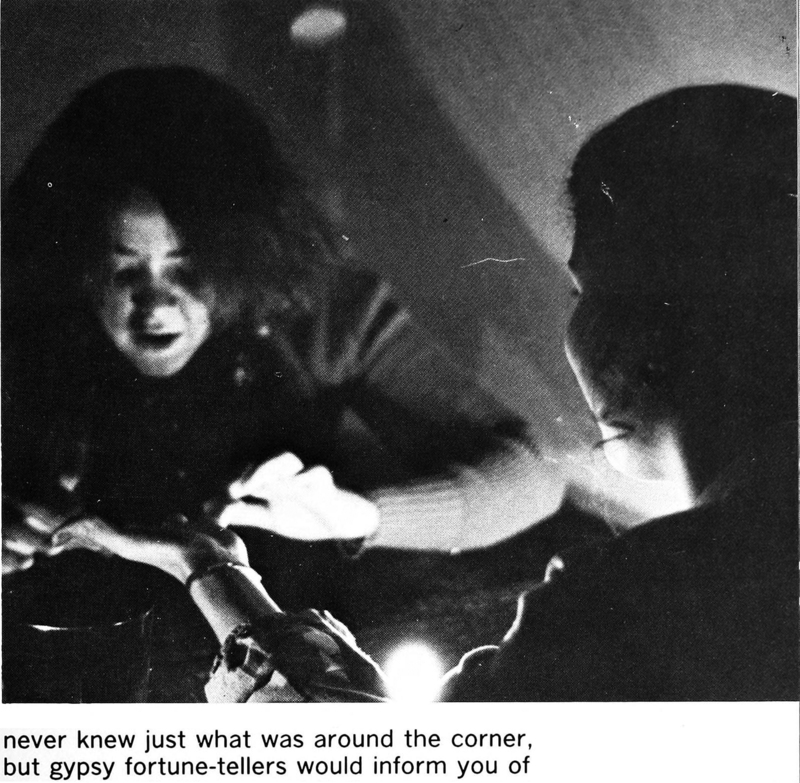 Here's a palm reader in Southwestern University's yearbook of 1979. 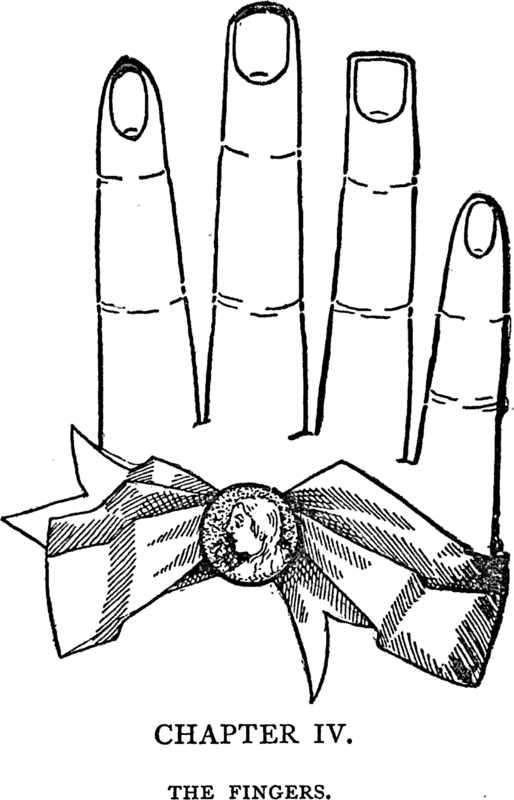 "The very nervous hand." It's not the hand of a nervous person, the caption says, but a hand that is itself very nervous or even the embodiment of nervousness. Therefore, the illustration is transformed into a talisman, akin to the Hand of Fatima. 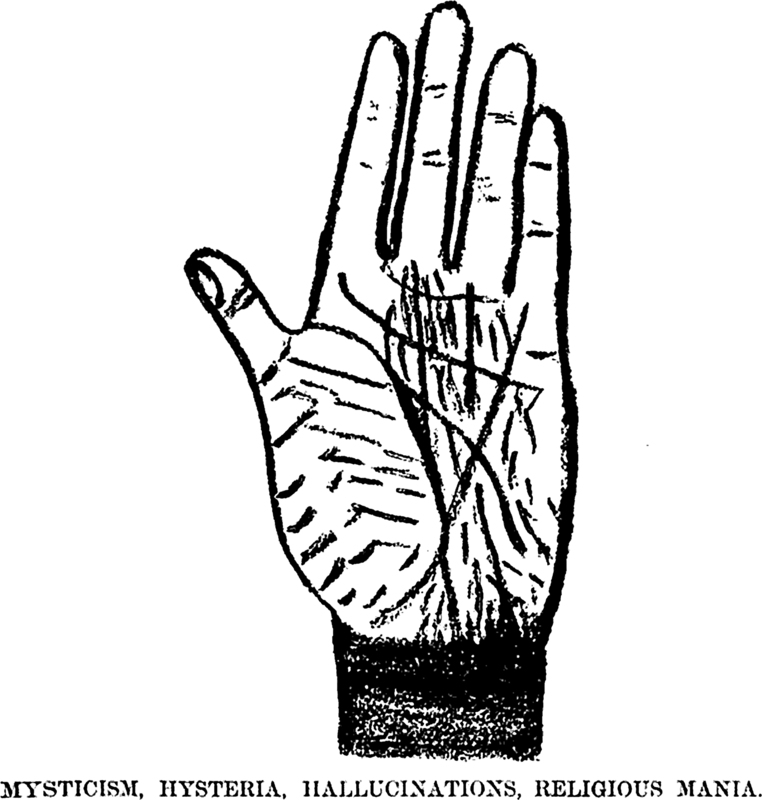 From New Discoveries in Palmistry by Joseph Bryant Hargett, 1901. 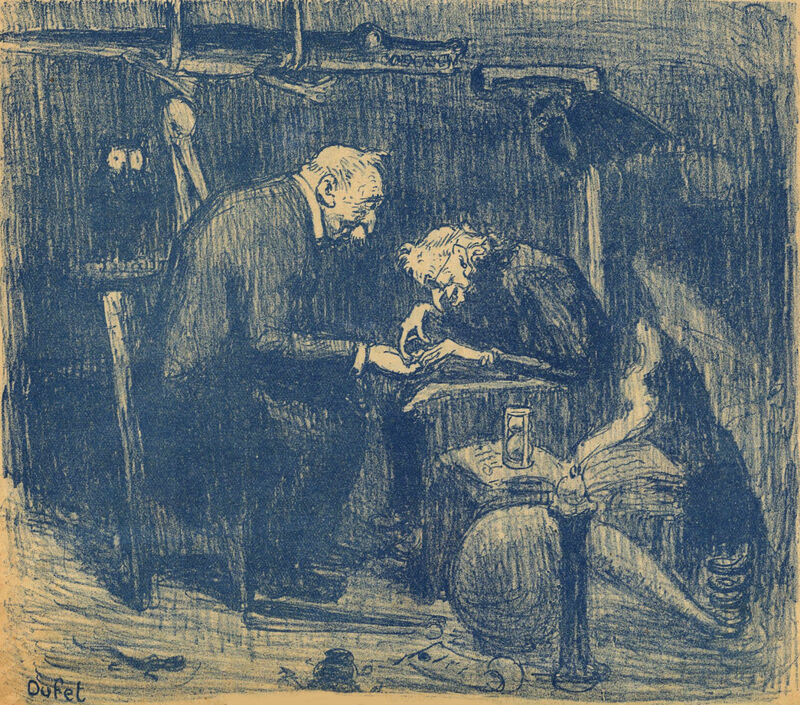 "The sceptical and distrustful hands." What we like about this, of course, is that the caption doesn't say, "A sceptical and distrustful person's hands" but rather ascribes the doubting to the hands themselves. 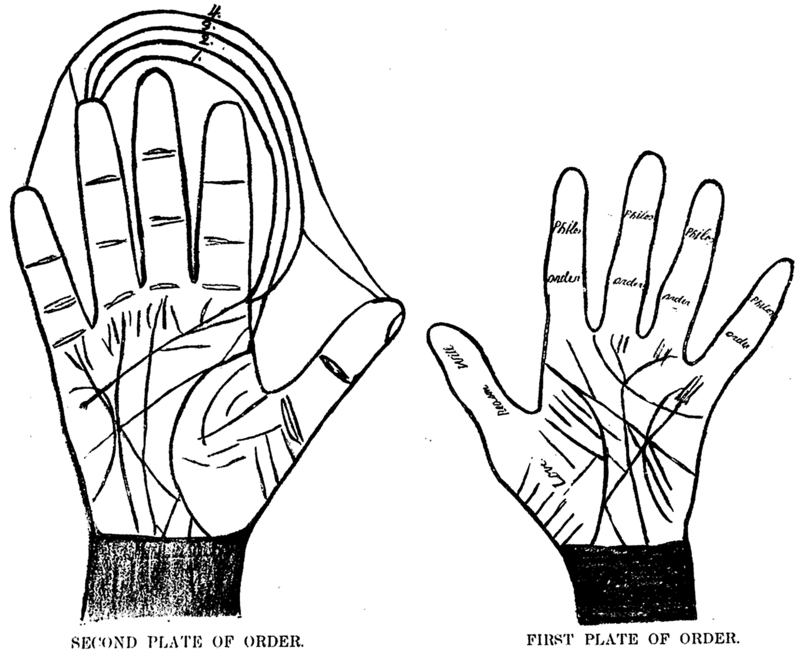 From New Discoveries in Palmistry by Joseph Bryant Hargett, 1901. See also our guide to the palmistry of the "Don't Walk" hand at intersections: Crossroads Chiromancy: The Secrets of the Glowing Red Hands.